Nearly forgot today's post. Oooopse. But I am doin it! And it's an hour till midnight! So it totally counts. Evidently I really can't find any pictures of my self from this time last year.... I guess I was quite camera shy (still am) but at least I have a few more of me that I have taken. 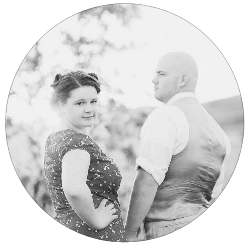 Here is one from August, our wedding. Duh. And this was taken in February at the Midway Ice Castles. I took this one a few weekends ago, but let's be honest. I photoshopped the crap out of it. Quite literally. So it's not a very realistic portrayal of me. You can find the "before" picture on Facebook, but I am not going to give the direct link to it. You have to go find it yourself. Difference from now and then? Oh boy... A lot of negatives --- my skin was so perfect.... At that point it was starting to go downhill, but it wasn't at the bottom of the hill yet. Now I have lots of break outs. The photo above this one is edit free so it's accurate in showing my zit face. Yuck. My hair is a lot longer. Boy, do I need a hair cut. And I have definitely gained some considerable weight. Sob. And I wish I could find that dress I was wearing at the Ice Castles. It was a fave... Humph. Happy Friday in 30 minutes!